Safety in the dark is paramount, especially when your power goes out. Who wants to fumble around in the darkness to find a flashlight or candles. 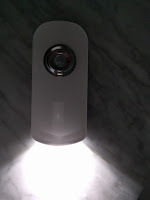 Enter the EtekCity Motion Sensing Nightlight/Flashlight. The concept behind this light is rather interesting, including a motion sensor, built in flashlight, power failure sensor, and a switch setting for dusk to dawn activation. 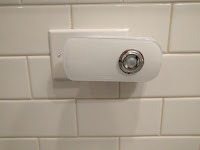 The sensor is touted to have a range of 60 degrees, and although I have no exact way to test that, I found the sensor to be efficient and not overly sensitive. I setup the light in my bathroom so I no longer need to turn on the lights for those late night trips to do you know what. 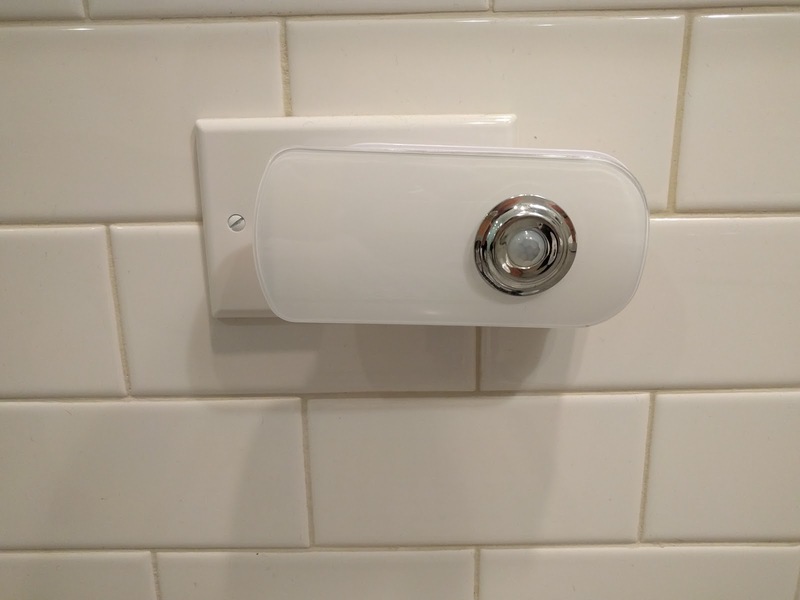 The light would activate immediately upon entering and would turn off about 25 seconds after I left the bathroom or stopped moving. It uses a 3.7v 500mAh Lithium Polymer rechargeable battery that takes approximately 8-10 hours to attain a full charge. In the instance that the power goes out in your house, the nightlight emergency lighting will kick on and stay on for approximately 2 hours. You can also remove the nightlight from the charging cradle and use it as a flashlight, which is a different lighting mechanism that include 2 0.5W LED bulbs on the top. 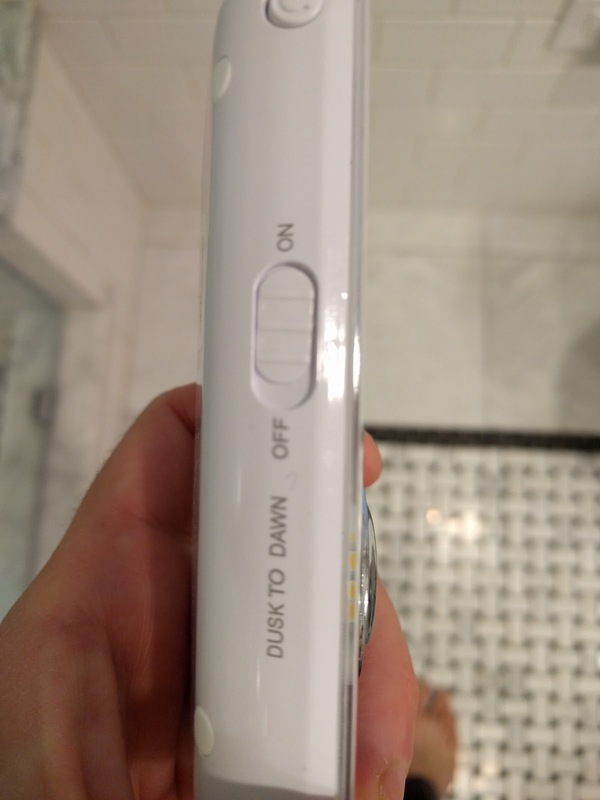 The flashlight is activated with a power switch found on the side. The entire device is not huge, but large enough to provide sufficient lighting both with the nightlight feature and the flashlight feature. It measures 5.12" by 2.36" and fits in just about any size hand for easy handling. I did not utilize the dusk to dawn feature much as the room I have it in is usually dark all day long. However this function senses daylight coming from the windows and keeps the light off during the day and on, but dimmed when it is dark. 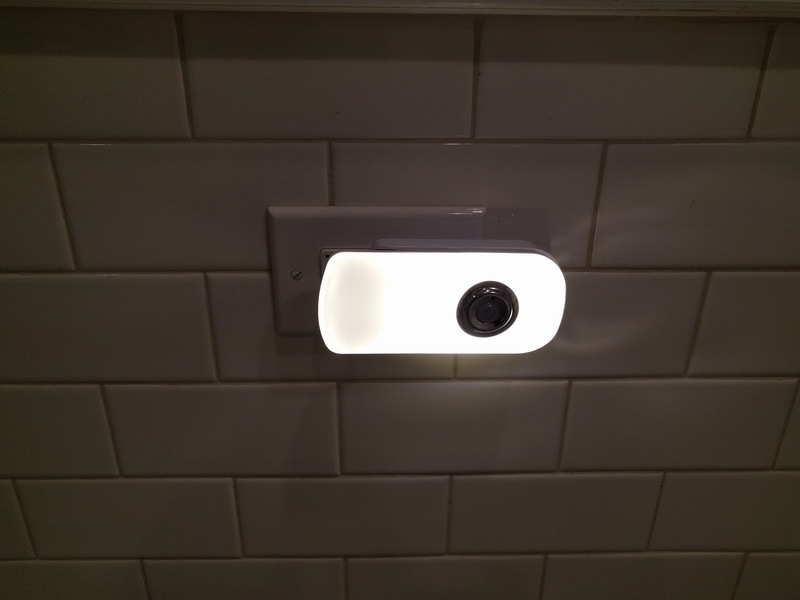 Then, when you enter the room it becomes brighter as the sensor realizes there is movement in the room. 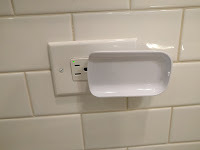 The one negative I found with this design is when it is plugged into the outlet. 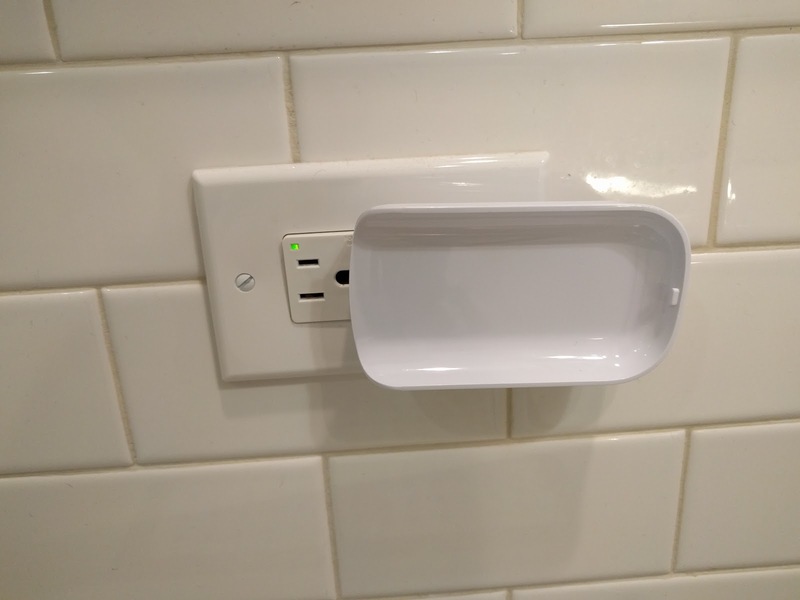 Regardless of whether the light is docked in the charger, the second outlet is rendered useless and inaccessible. LED flashlight is a sort of new lighting tool by using light-emitting diode. LED is durable, bright and saves power. Led flashlight and tactical flashlights are extremely popular nowadays by using one high power Led Flashlight. Flashlights are very important tools in the home and at work. However, they do not last forever and some have very short life spans. Here are some common problems with inexpensive flashlights or torches (as they are called in the UK) and some possible solutions for them.